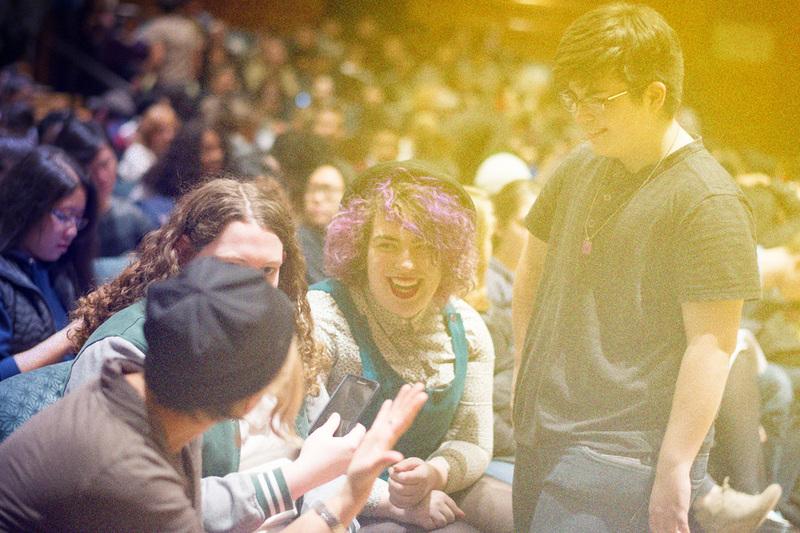 The Princeton University LGBT Center supports and empowers lesbian, gay, bisexual, transgender, queer, questioning, intersex, and asexual students and employees by providing community-building, education, events and initiatives. Our work seeks to affirm and help students explore their many identities, including a/sexuality, a/gender, race, ability, religion and class. While we center the needs and experiences of LGBTQIA students, we serve the entire campus community, through training, consultation and advocacy. Note: We use the phrasing “a/sexuality” and “a/gender” to acknowledge that sexual and gender diversity includes people who identify as asexual and agender, as well as those who identify with a particular sexuality and gender. A Princeton University community that is fully equitable and inclusive of all identities, and people of all a/sexual orientations and a/gender identities feel they belong, are valued and respected. • Undergraduate students, graduate students, post-docs, staff and faculty of all identities are welcome. • Students’ needs, interests and passions are the drivers of our programming and initiatives. • We seek to identify, address and reduce racism, heterosexism, misogyny, cissexism, ableism and other forms of discrimination on campus. • Deepening and developing partnerships, both inside and outside of the University, makes our work more effective and far-reaching. • Everyone is at a different place in their learning processes, and we do not shame or turn away anyone who wants to authentically engage. • We approach our work with a historical analysis of discrimination and injustice to serve the campus more intentionally and equitably. • There is no one way to be LGBTQIA at Princeton. The LGBT Center embraces and values Princeton's Statement on Diversity and Community, which is a foundation for our mission, programming, and services. Princeton's Statement on Diversity and Community from Rights, Rules, and Responsibilities is as follows. Click here to read more. In 1989, the offices of the Dean of the Chapel and the Dean of Student Life began hiring graduate students to help organize LGBT student activities. Princeton University became the sixth university in the country to create an LGBT coordinator position. This internship evolved into a full-time professional position in 2001, which became known as the LGBT Student Services Coordinator in the Office of the Dean of Undergraduate Students. Over the years, many students and staff recognized the need for a dedicated LGBT center at Princeton and worked hard to make this dream a reality. In the summer of 2005, the LGBT Student Services office evolved into the LGBT Center, and Debbie Bazarsky (LGBT Student Services Coordinator, 2001-2005), moved into a new role as The LGBT Center Director (2005-2015). Matt Carcella was hired as the first LGBT Center Program Coordinator (2005-2009). Construction for the new LGBT Center began in October 2005, and the beautiful new Center opened its doors in March 2006. In 2009, Matthew Armstead served as the second LGBT Center Program Coordinator (2009-2013), and Andy Cofino now serves as the current LGBT Center Program Coordinator (2013-Present). Judy Jarvis was hired as the LGBT Center Director in January of 2016. For more history of the office and Center advocacy by students and employees, ask the LGBT Center staff for access to our in-depth history narrative.